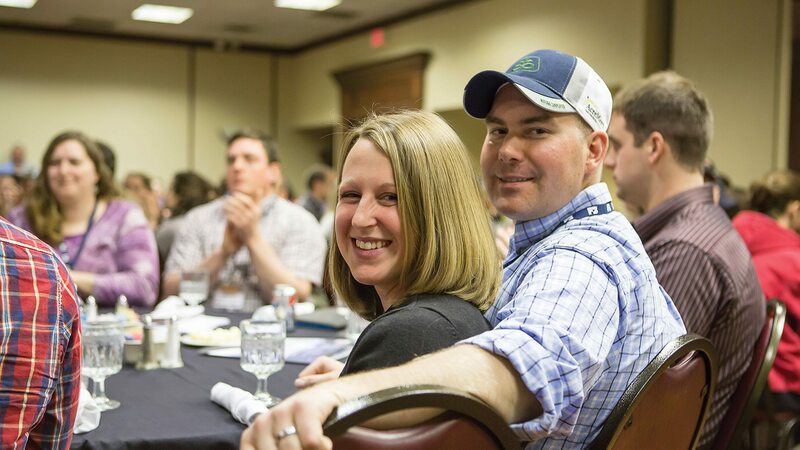 Ohio Farm Bureau Young Agricultural Professionals are 18 to 35, singles and married, who are interested in improving the business of agriculture, learning new ideas and developing leadership skills. 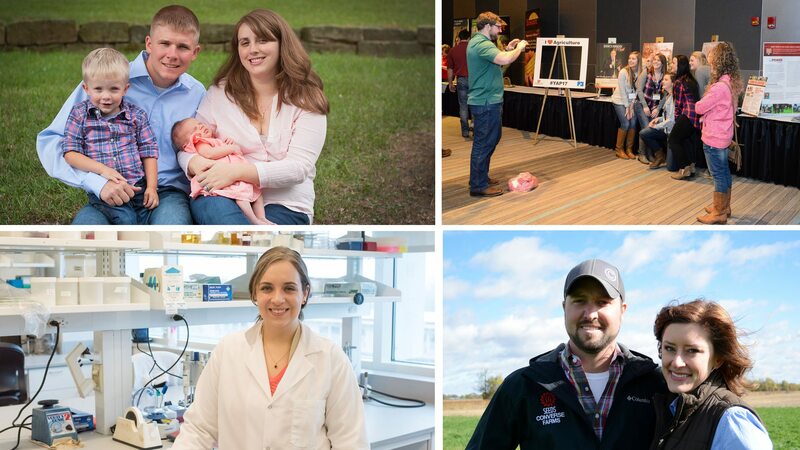 Whether you have a half-acre or 5,000 acres or work in the food and farming industry, Ohio Farm Bureau’s Young Ag Professionals has a place for you! Farm Bureau Young Agricultural Professionals are full- and part-time farmers, OSU Extension agents, teachers, consumer educators, former Ohio Farm Bureau Youth members, FFA and 4-H alumni, farm media communicators, livestock and equine enthusiasts, wine makers, alpaca breeders, seed representatives, beekeepers, green industry employees, gardeners, foodies and more. County Farm Bureau Young Ag Professionals groups and Collegiate Farm Bureau groups can obtain funding for local projects thanks to the generous support of Farm Credit Mid-America. The 2019 grant winning programs have been selected. 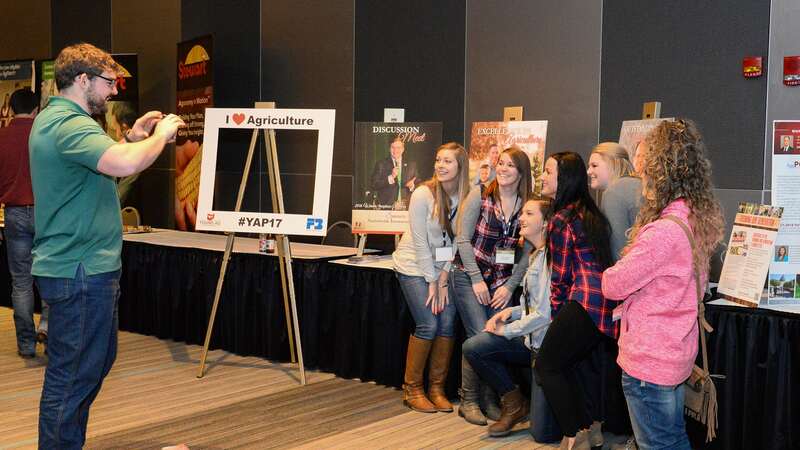 The YAP Leadership Experience is an annual conference with the opportunity to build personal and professional skills, network with agricultural leaders, and learn how to make a difference in your community, Farm Bureau and agriculture. Attendance at the Young Ag Professionals Leadership Experience is just one benefit of being an Ohio Farm Bureau member. If you are not yet an OFB member, learn more about membership or join now. See photos from the 2019 event. County level Young Ag Professionals groups are popping up across the state. Each group’s activities are driven by those who participate, with some focusing on educational activities, some on social activities, and some combine both. Find out where these local groups are, and if there is not a group near you, contact your county Farm Bureau about starting one! Interested in starting your own local YAP group? Download your Local YAP Start-Up Manual HERE. The Young Ag Professionals Winter Leadership Experience is an annual conference with the opportunity to build personal and professional skills, network with agricultural leaders, and learn how to make a difference in your community, Farm Bureau and agriculture. Conference sessions cover topics ranging from traditional agriculture, niche farming/marketing to consumer education topics. 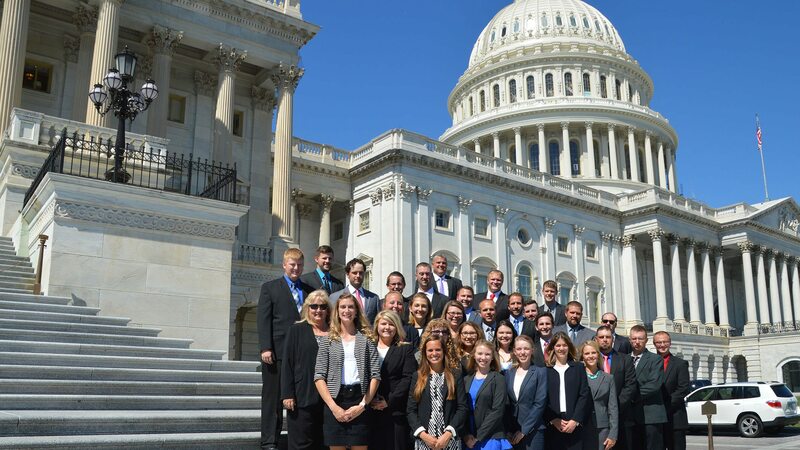 Young professionals with strong leadership potential are hand-selected each year to share their ideas with members of congress and to learn about international agriculture and how to grow personally and professionally. The trip takes place each September and includes a visit with the young professional’s congressional representative, meeting with American Farm Bureau staff members for industry and issues updates, a behind-the-scenes look at how Washington really works, networking with other young professionals, and exploring a world view of agriculture during a visit to an embassy. 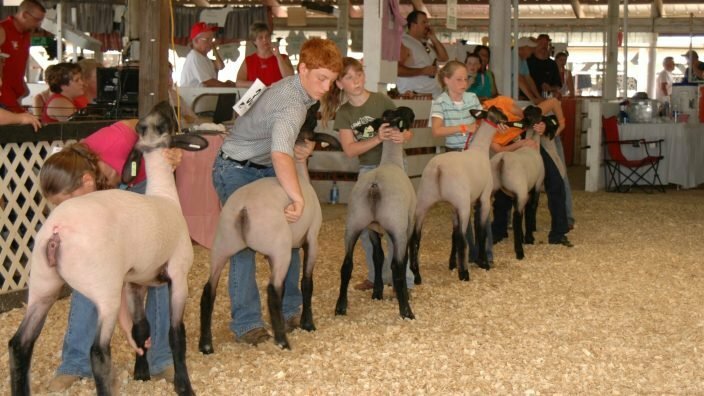 Contact your county Farm Bureau if you are interested in the annual trip. 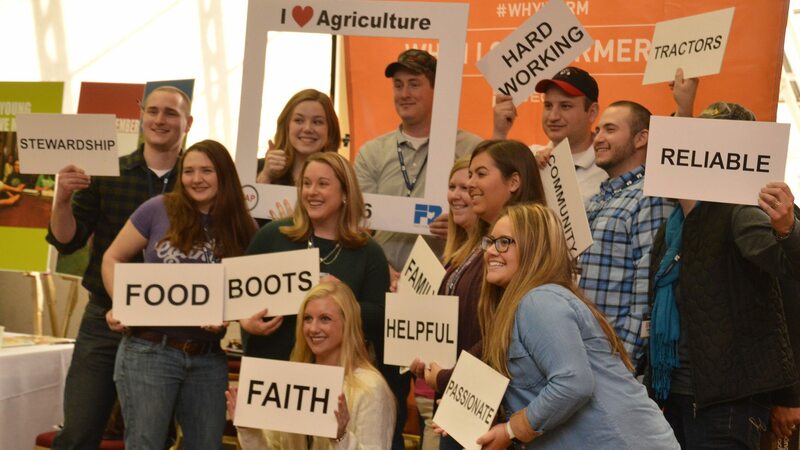 Ohio Farm Bureau sent 10 Young Agricultural Professionals members to attend the American Farm Bureau’s Fusion Conference in March to enhance their knowledge of and experience with Farm Bureau. The conference brings together more than 1,200 Farm Bureau volunteer leaders from across the country from Promotions & Education, Women’s Leadership and Young Farmers & Ranchers programs. These members represent the next generation of Farm Bureau leaders. Members went to Milwaukee to hear from motivational speakers, network with members and industry leaders, gain new information and skills through breakout sessions, and tour local ag and tourism locations. 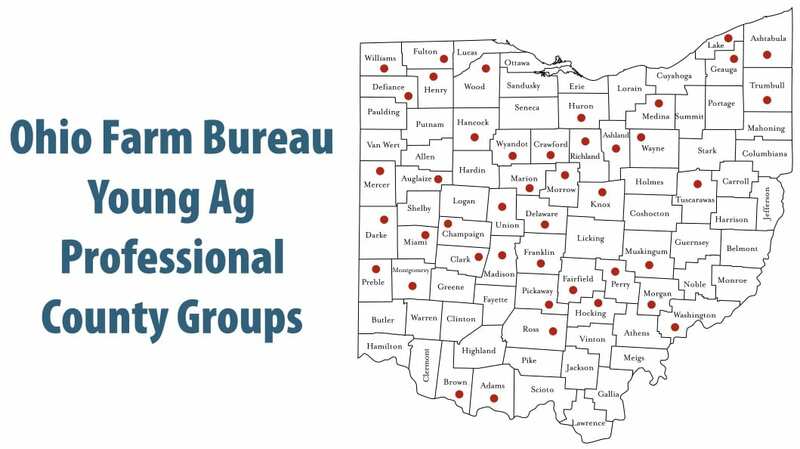 State Committee members assist with creating educational and leadership development programs for Ohio Farm Bureau’s Young Agricultural Professionals. A total of eight positions are on the team, and a position may be filled by either a single individual or a married couple. Members serve a two-year term with four returning and four new positions each year. Meet the current committee members. Apply for the 2019-2020 committee by May 24, 2019. 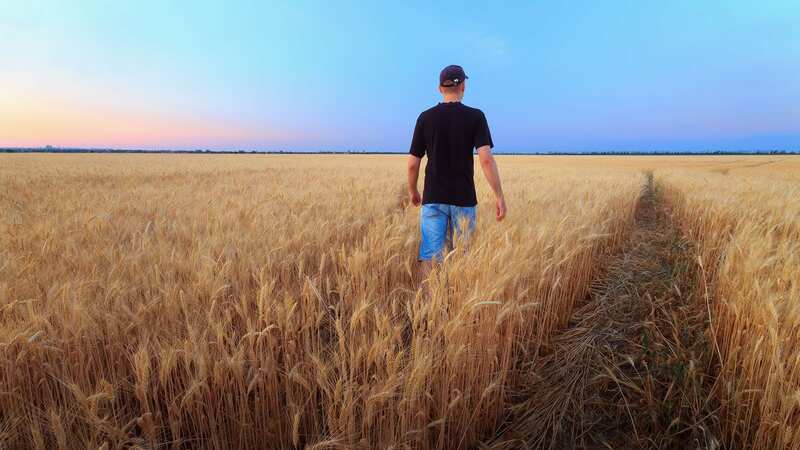 The Outstanding Young Farmer Contest is designed to recognize successful young farmers, age 35 or younger, for achievements in the business of farming and leadership in the agricultural community. Applicants should have a majority of their income subject to normal production risks as well as ownership (or part ownership) of the operation/business. Each year, the top three applicants have a 20-minute interview with a panel of three judges in September. Winners are recognized at the Ohio Farm Bureau annual meeting in December and receive 250 hours free use of an M-series tractor provided by Kubota, and a $1,000 Grainger gift certificate sponsored by Farm Credit Mid-America. The winner also receive an expense-paid trip to at the American Farm Bureau Annual Convention in Austin in January 2020. 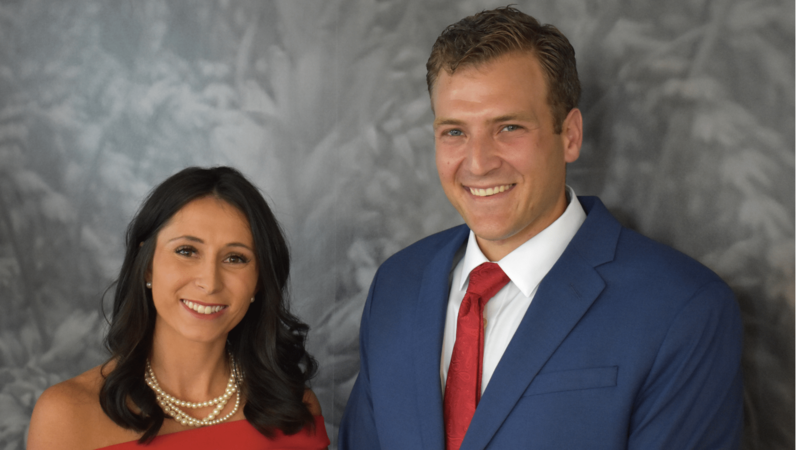 Adam and Jess Campbell are winners of the 2018 Excellence in Agriculture award and were Top 10 finalists in the national Excellence in Agriculture contest. If you work off the farm and are a leader in Farm Bureau and the community, then this contest is for you. This award is designed to recognize successful young agricultural professionals (singles or couples) who are actively contributing and growing through their involvement with Farm Bureau and agriculture but do not have the majority of his or her income subject to normal production risk. Each year, the top three applicants will have a 25-minute presentation before a panel of judges in September. 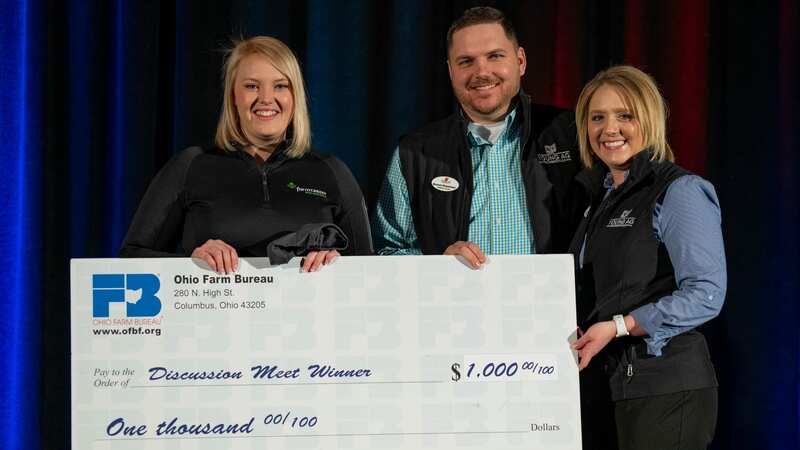 The statewide winner is recognized at the Ohio Farm Bureau annual meeting in December and receives an expense-paid trip to compete in the national contest at the AFBF annual convention, which is in Austin in January 2020. Winners receive a John Deere Gator courtesy of Farm Credit Mid-America and $1,000 award sponsored by Nationwide and Ohio Farm Bureau. Victoria Popp, left, of Columbus won the 2019 Discussion Meet competition. YAP committee co-chairs Bennett and Liza Musselman presented the cash portion of her award during the YAP 2019 Winter Leadership Experience. If you are a good conversationalist, then this contest is for you. The Discussion Meet is a competitive event designed to simulate a committee meeting where discussion and active participation are expected from each participant. This competition is evaluated on an exchange of ideas and information on a pre-determined topic. Participants build basic discussion skills, develop a keen understanding of important agricultural issues and explore how groups can pool knowledge to reach consensus and solve problems. The statewide winner is recognized at the Ohio Farm Bureau annual meeting and received an expense-paid trip to compete in the national contest at the AFBF annual convention in January. The winner also receives a $1,000 prize from Nationwide Insurance. The Discussion Meet semi-finals will be held at the Ohio Farm Bureau Annual Meeting in December 2019. National Awards: The three winners of the American Farm Bureau Young Farmers and Ranchers Achievement Award, Excellence in Agriculture and Discussion Meet will each have their choice of a 2019 Ford truck. The Achievement Award truck is provided courtesy of Southern Farm Bureau Life Insurance. The Discussion Meet truck is provided courtesy of Farm Bureau Financial Services and the Excellence in Agriculture truck is provided courtesy of Country Financial. Runners-up in the contests each receive a Case IH Farmall 50A tractor, courtesy of Case IH. Third place finalists receive a Case IH 40″ Combination Roll Cabinet & Top Chest and $500 Case IH parts card, courtesy of Case IH and $2000 of Stanley Black & Decker merchandise courtesy of Stanley Black & Decker. Fourth place finalists receive a Case IH 40″ Combination Roll Cabinet & Top Chest and $500 of Case IH parts, courtesy of Case IH. 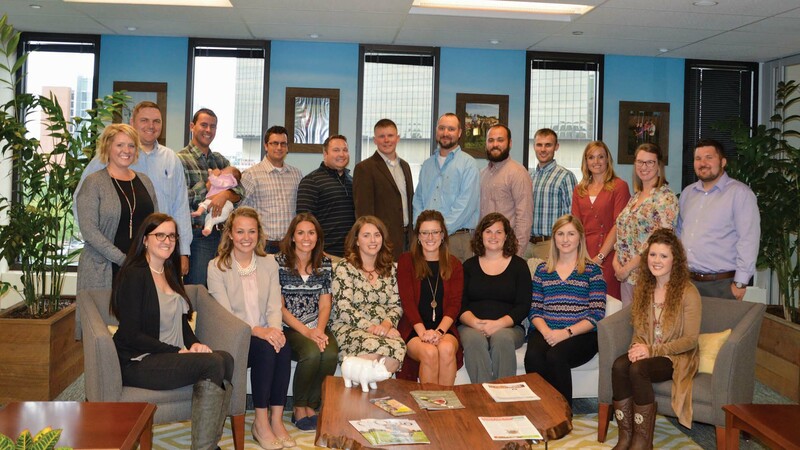 Young Agricultural Professionals is a part of the Ohio Farm Bureau Federation. 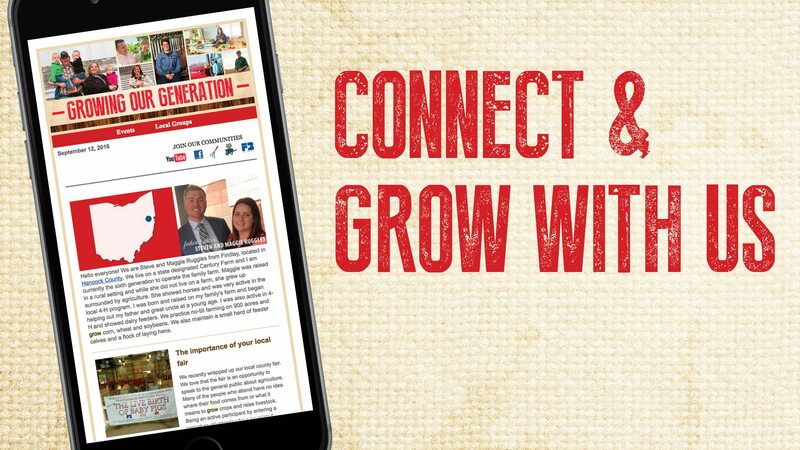 If you are not an Ohio Farm Bureau member, find out more about membership or join now. We’d love to have you as a member.